‘The Rose of the North’ is worlds away from the hectic capital and one of my favourite places in all of Asia. 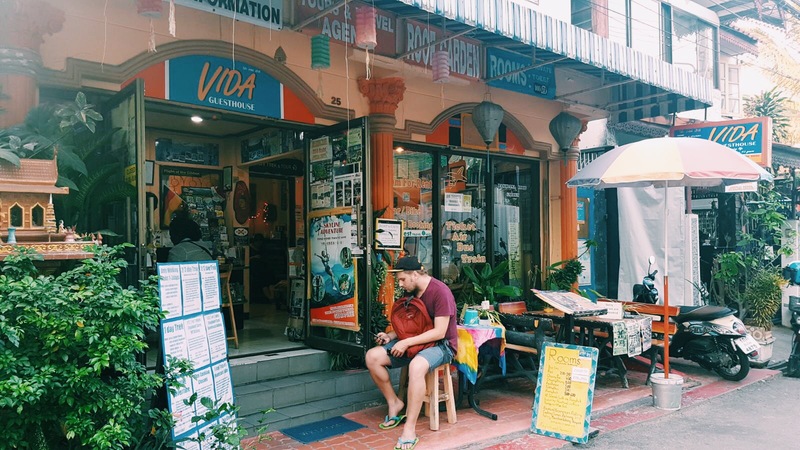 Artists and travellers flock from all over to the incredibly scenic and cultural city, which is famous for its natural landscape and easy-going lifestyle. Because of its location it is also a lot cooler than Bangkok, and cheaper! 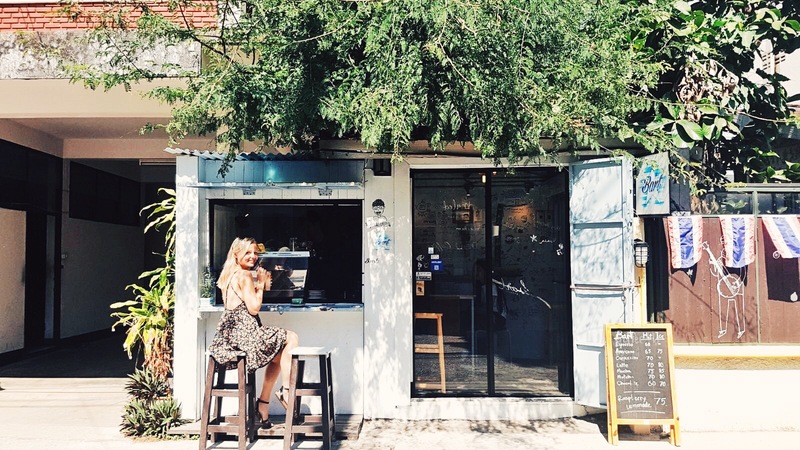 Spend your first day wandering around, hopping from temple to temple and stopping off at one of the many chic coffee shops and cafes dotted around. Bart Coffee is a cute little place not far from Wat Chiang Man temple. 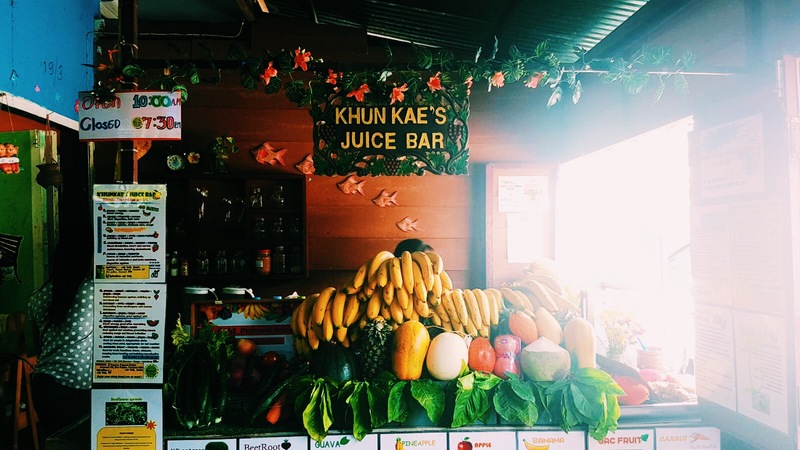 Also grab a delicious smoothie for just 40 baht at Khun Kae’s Juice Bar (try the banana, peanut butter and coconut one ). You can hire a bicycle if you want to go further afield, but walking from one side of the Old City to the other should only take half an hour. It’s also easy to navigate around, as the whole area is surrounded by an ancient wall and river. 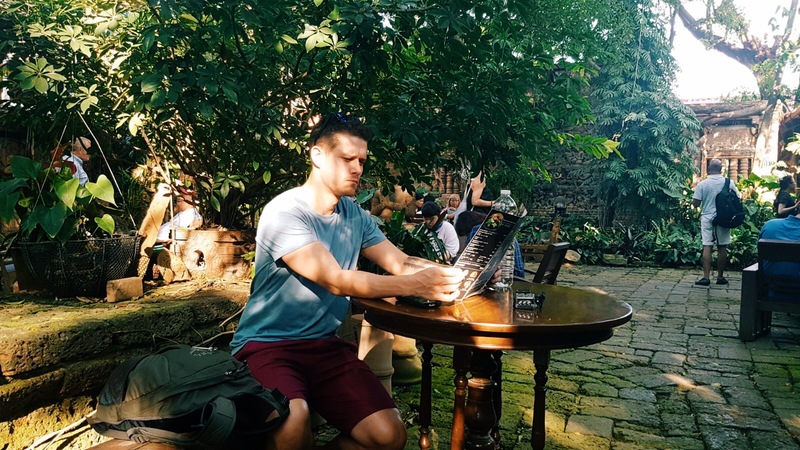 A great place to rest up for an hour is The Terracotta Garden, which is owned by and just opposite the Baan Phor Liang Meun showroom (near the South Gate of the Old City). It seals you off from the outside world, transporting you into a moss-covered paradise. For dinner a brilliant cheap eat in the Old City is called Kanjana, where you have to try the Kow Soy noodle soup with a yogurt smoothie. For a delicious Italian meal stop off at La Fontana restaurant before 7pm for happy hour and 10% off the food bill. 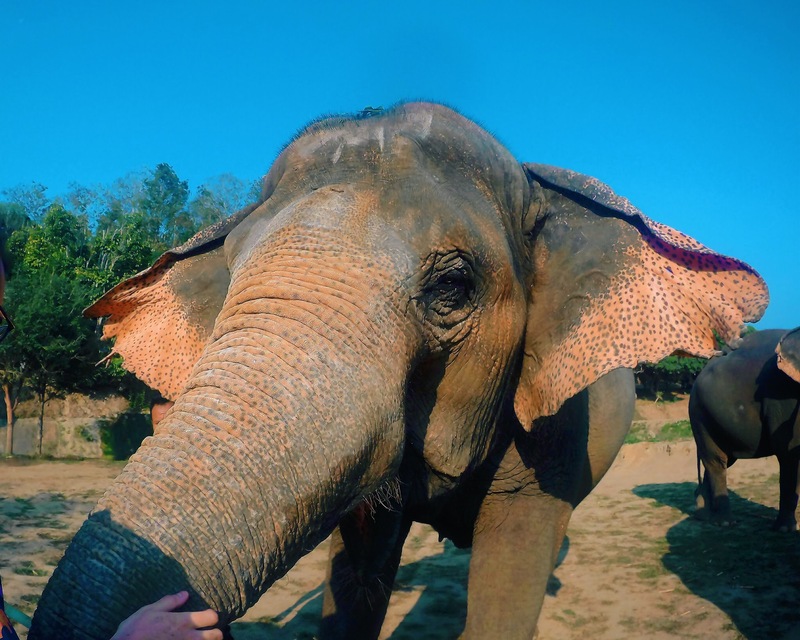 Day two is either a full day or half day at an elephant sanctuary (like you’d come to Chiang Mai and not see them ). 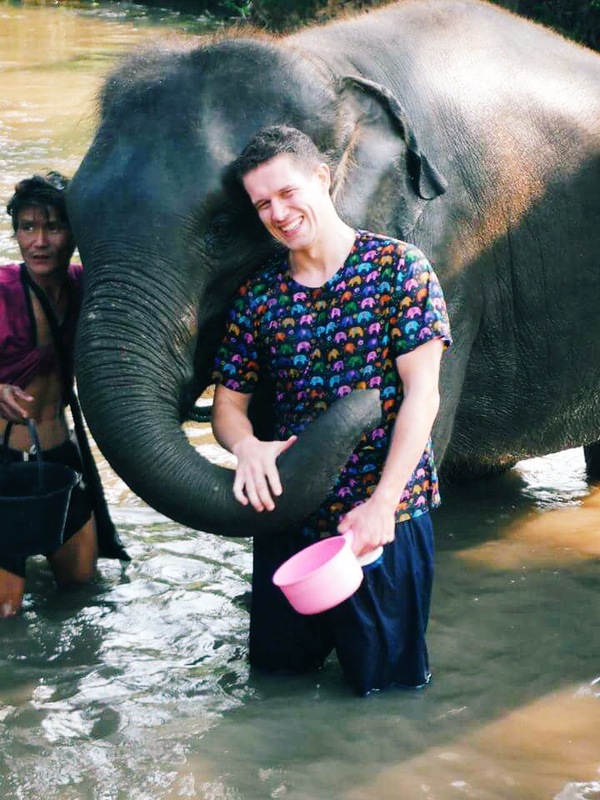 There is a dark history to how these incredible animals are treated in Thailand. Many were forced to move heavy logs in the forest, which has now been made illegal but sadly hundreds are still being used for the gruelling task. 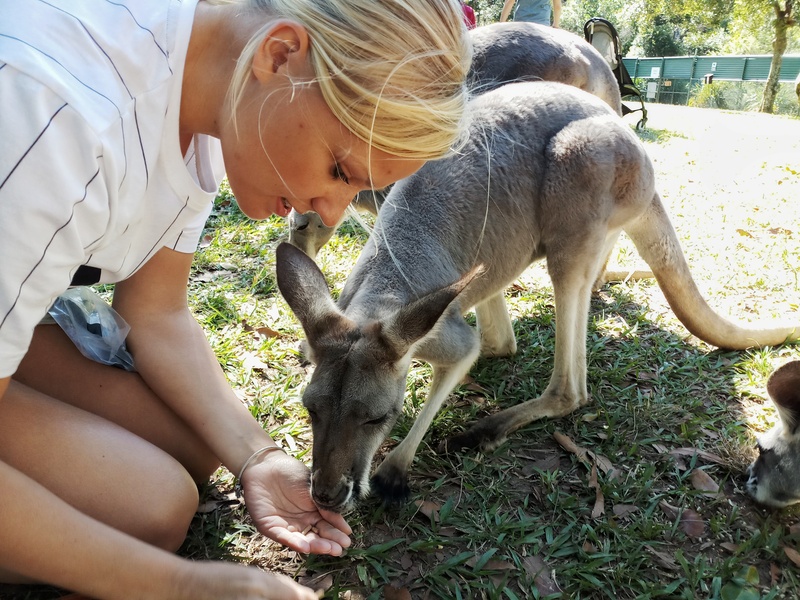 Others are bought by companies to entertain tourists, either in shows or for rides, which can be distressing for them. Then there are elephants in the wild who are often poached for their ivory tusks or captured to be sold on. More and more sanctuaries are being set up in the north of Thailand now to home these magnificent creatures, however some still offer rides and regularly use bull hooks to control them. Do your research before booking anything just to be sure. We went with a company called Kanta, which currently has 15 females in their care (including an adorable 6-year-old!) 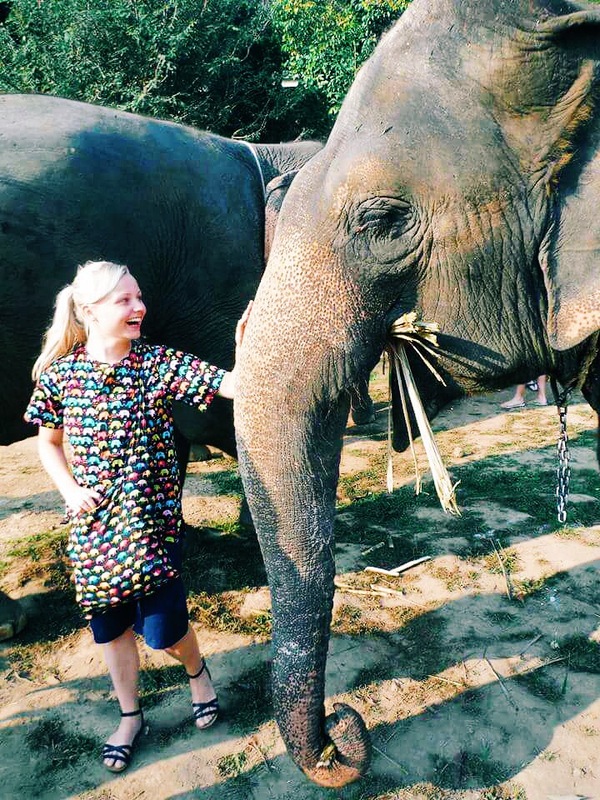 It cost 1,500 baht ($48) each for four hours with the elephants, feeding and washing them. You can do the whole day for 3,000 baht too. 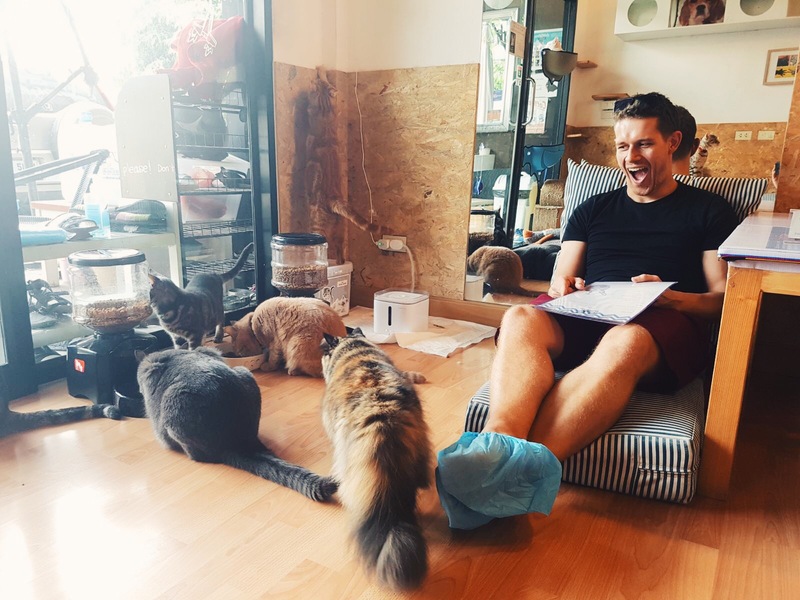 After an early start with the elephants, take a taxi to the Catmosphere Cat Cafe and have a brew with a few feline friends . 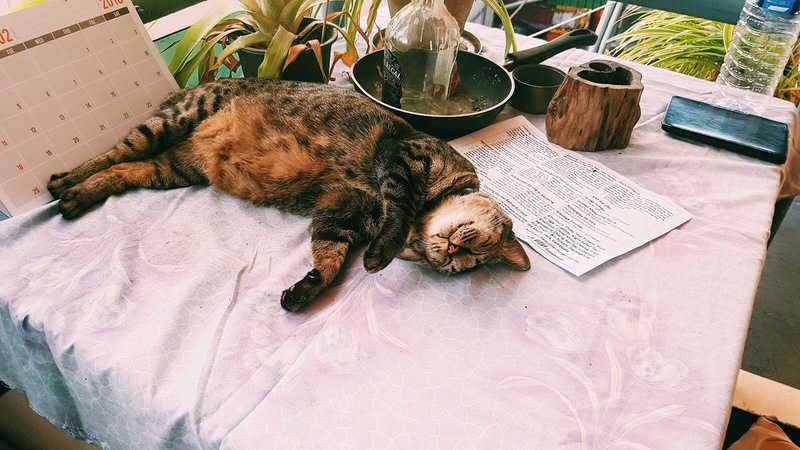 They have 25 cats living there, and they’re all beautiful! 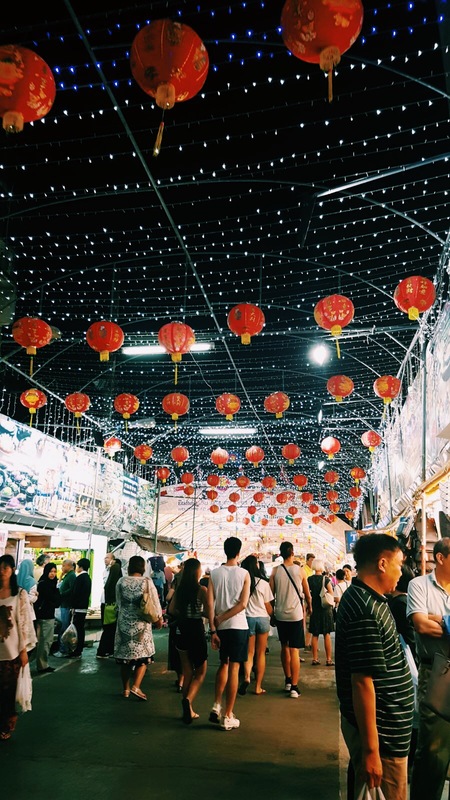 In the evening stroll outside the Ancient City to the night market in Chang Klan Road. The whole place lights up with hundreds of traders eager to make a sale. 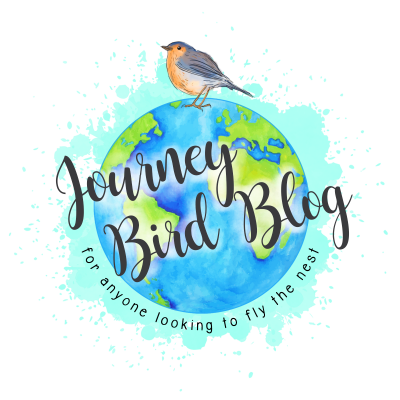 Your third day is saved for exploring! Hire a moped for around 200 baht and head to the mountains. You can also go with a tour group or take the Songthaew, which is the most common way of getting about the city. These red cars are everywhere in the Old City, picking up and dropping off tourists and locals at a cheap price. Tip: Make sure you have an international drivers licence if you hire a moped. Police will likely pull you over and can charge up to 400 baht if you don’t. We didn’t, so we went before their shift started at 9am, and came back after 4pm . Go to the very popular Wat Phra That Doi Suthep temple first to avoid the daytime crowds. 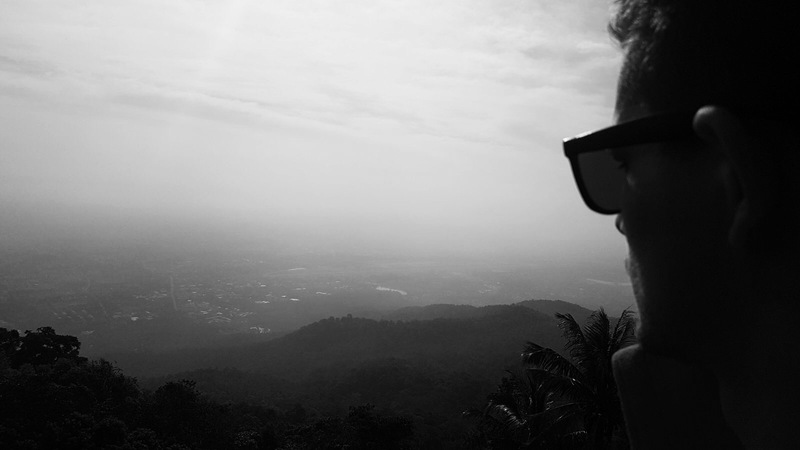 There you’ll get spectacular panoramic views of Chiang Mai and the surrounding forests. Another route is to ride further up to the peak of the mountain to the Mon Cham camping site for lunch in a bamboo hut. 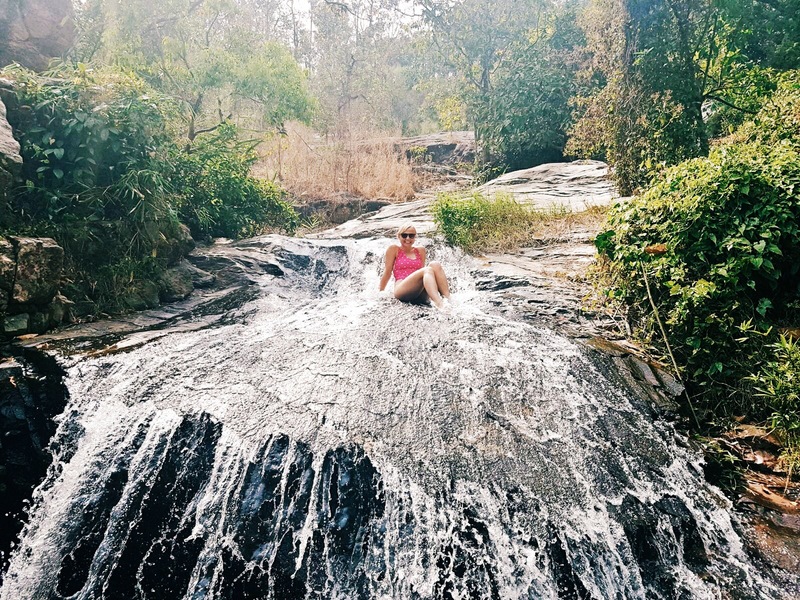 Once your belly’s full, jump back on your bike to spend the afternoon waterfall wandering. There are plenty to see, including Sai Yai, Monthathan, Wang Bua Ban, and Huay Kaew. 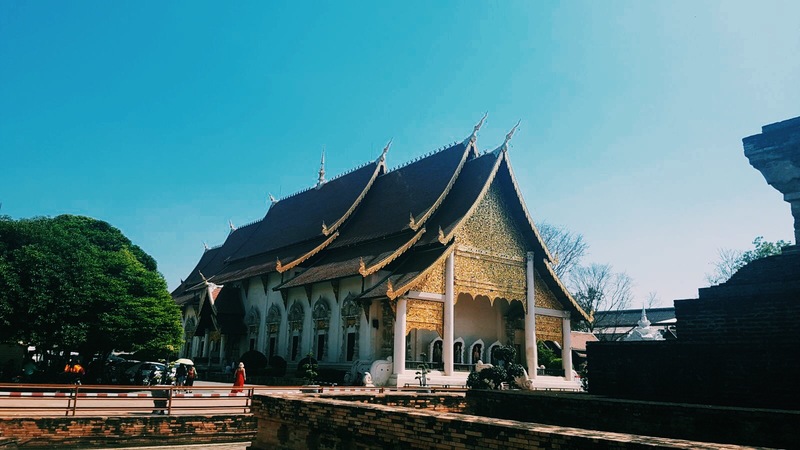 In the evening between 5pm and 7pm on Monday, Wednesday and Friday visit Wat Phra Singh temple in the Old City to have a friendly chat with one of the 700 monks living there. It gives them a chance to practice their English, and you can ask them pretty much anything you want about life and all that shiz. Once you’re conversationed out, there is a brilliant bar called the North Gate Jazz Club, which has live music every night. A beer will set you back around 75 baht, and a cocktail from 140 baht. It gets very busy and the crowd of music admirers tends to spill out onto the street, so arrive at around 7.30pm. Your final day in Chiang Mai is a ‘whatever floats your boat’ one. 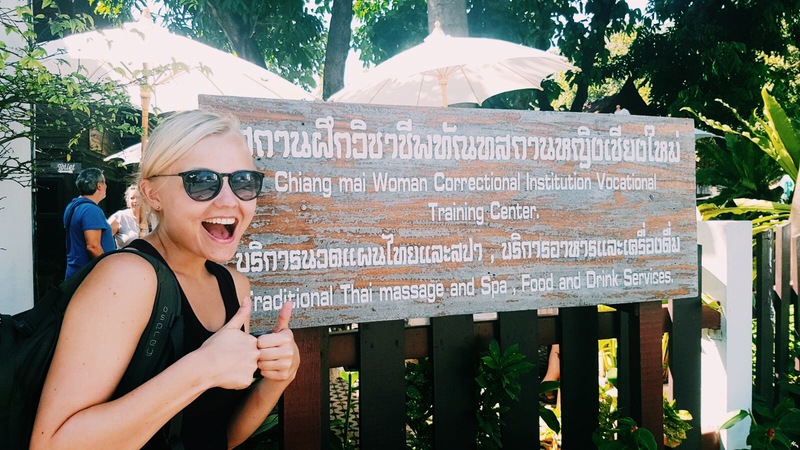 We opted for a foot massage by a female convict at the city’s Woman’s Prison. It has various programs where soon to be released inmates are taught life skills and a trade to help them assimilate back into society. Don’t worry, they’re not murderers, just small time ex-criminals. A brilliant foot massage or traditional Thai body massage costs 200 baht for an hour. You could also hike the Doi Inthanon National Park, spend the day zip-lining through the treetops of the jungle with Flight of the Gibbon, learn how to cook authentic Thai cuisine in an organic cooking class, venture to the sticky Bua Tong waterfall, have your mind blown at the Art in Paradise 3-D museum, or visit the Zoo and Tiger Kingdom (both I’d not recommend for animal welfare reasons).